We are an information technology firm providing industry specific software solutions, customized software development, computer networking, computer hardware & software, e-business analysis and IT consulting. We offer our clients value-added products and services that enable them to compete and operate more effectively in today's ever-changing digital economy. Our development team consists of highly qualified individuals specialized in Microsoft.Net and database technologies. We can also provide you with a complete line of hardware, software and networking products and solutions. These products can be complimented with our standard or extended warranties and our technical support services. We offer a variety of professional and IT support services to help you meet your corporate objectives with great ease while having peace of mind. Technical support is offered on a per call basis or in the form of purchased block contracts. 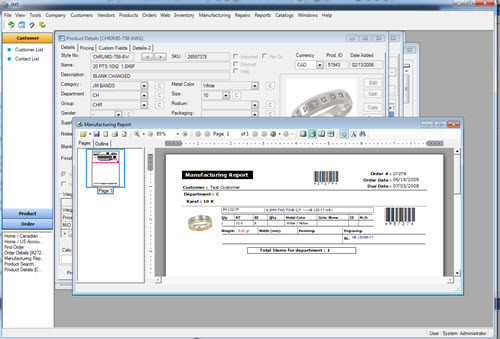 JMS is a complete ERP system tailored for jewelry manufacturers and wholesalers. JMS has been developed with latest software development tools built on Microsoft .Net technologies and uses Microsoft SQL Server as database. Flexible design and open architecture provides comprehensive data import & export and simple linking to 3rd party applications such as accounting packages and report generators. Scalability is key feature of the design of the application. By utilizing Microsoft server & database technologies it can be scaled from few users to hundreds of users. The investment in JMS system will be a long term solution. Contact us today to obtain more information or schedule a demo. We would be glad to assist you and assess whether this solution is right for you. DMS is our Document Management Solutions. It provides an intuitive user interface and feature-rich electronic archiving capabilities. The application is based on a scalable architecture and it has been developed using Microsoft.Net technologies and MS SQL Server. 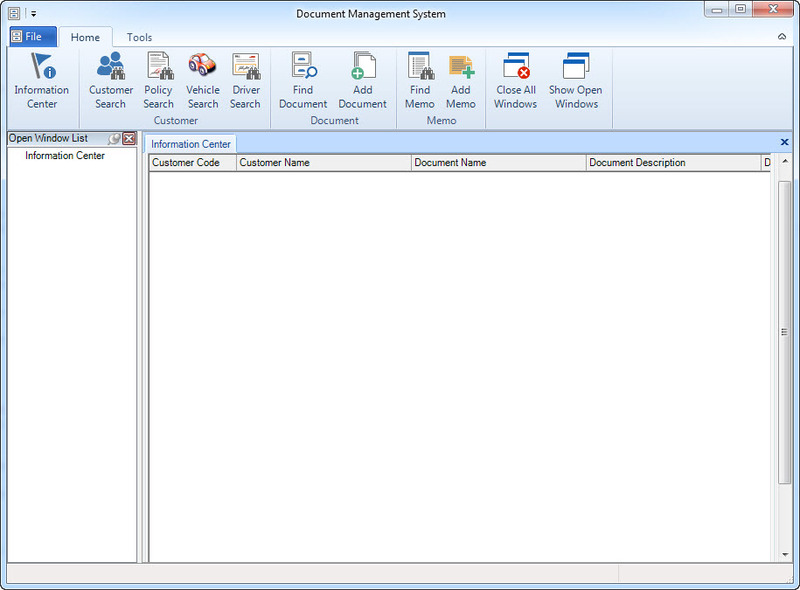 The application comes with a standard customer module to which your documents are linked. However, we can customize this module based on your requirements and provide a data synchronization module to import and update customer information from your existing system. Our optional web integration module provides secure access to your document library remotely. Contact us today to obtain more information or schedule a demo of our DMS solutions. We would be glad to assist you and assess whether this solution is right for you. To access support resources pleas login to your account. If you don't have a login account and you're an existing user of one of our products or have hardware / software support contract with us, please contact us to activate you account.